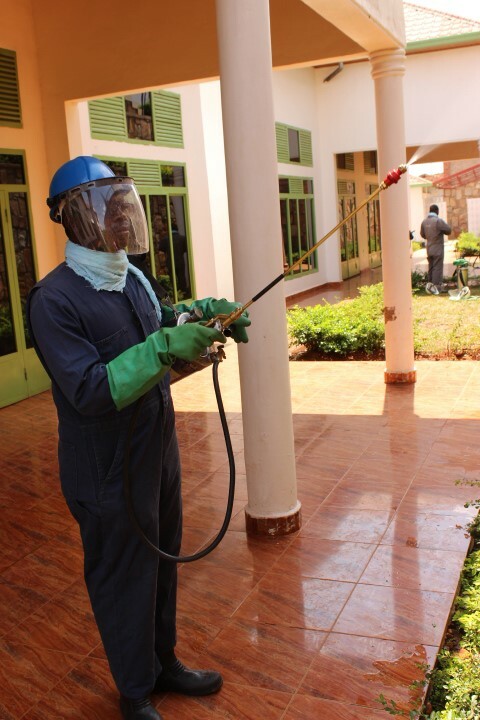 Indoor Residual Spraying (IRS), a proven intervention in preventing and controlling malaria in Africa, requires complex planning and implementation. Strengthening the capacity of National Malaria Control Programs in Africa to manage IRS programs is a key component of the U.S. President’s Malaria Initiative (PMI) Africa Indoor Residual Spraying (AIRS) Project. In collaboration with Rwanda’s Ministry of Health’s Malaria and Other Parasitic Diseases Division (MOPDD) and with the support of the Government of Rwanda and PMI, the PMI AIRS Project conducted trainings at district and sector levels to strengthen the skills and knowledge of more than 250 key stakeholders on IRS planning and spray operations in the districts of Kirehe, Gatsibo, Nyanza, Huye and Ngoma. During the June to August 2017 capacity building trainings, PMI AIRS used a dynamic curriculum developed by experts using adult learning theory. The training adopted a strategy similar to the PMI AIRS trainings conducted in Rwanda in 2015, in which District and Sector IRS Managers from three districts were trained. Managers of IRS from eight districts in Rwanda have now received training on IRS planning and spray operations implementation. “Our aim is to strengthen the capacity of district and sector managers in all ‘high burden’ malaria districts so that they are able to plan and implement IRS at the district and sector levels,” said Mr. Dunia Munyakanage, the acting Director of Vector Control at MOPDD. He added that this training would bring us closer to achieving the goal of empowering all IRS managers from the 13 high burden malaria districts on IRS planning and implementation.